Spots Reserved thru PayPal. You don't need an account. Use any credit card to buy your tickets. Please arrive 15-30 minutes before the event begins at 7pm sharp to check in. This will allow you time to grab a drink, get settled, select your seats, your stencils and your inks. Come even earlier and take advantage of the Inn's Drink & Inkers' Food and Drink Specials! 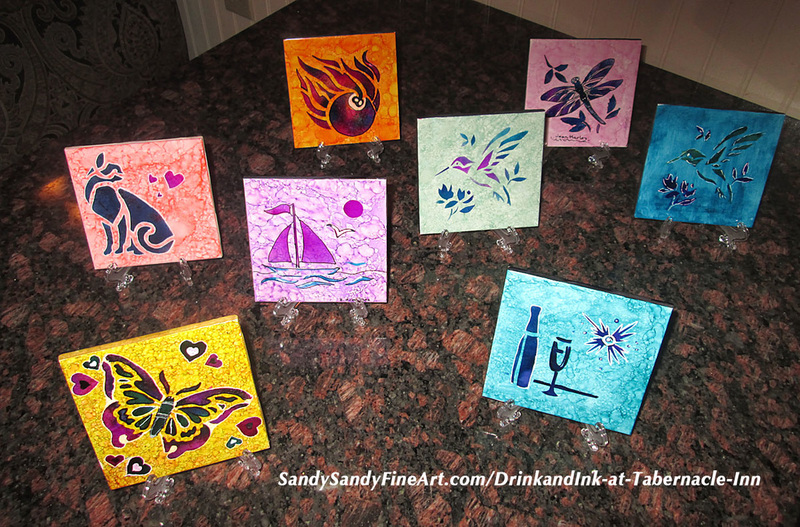 See tile examples and more about the DrinkandInk Process HERE.